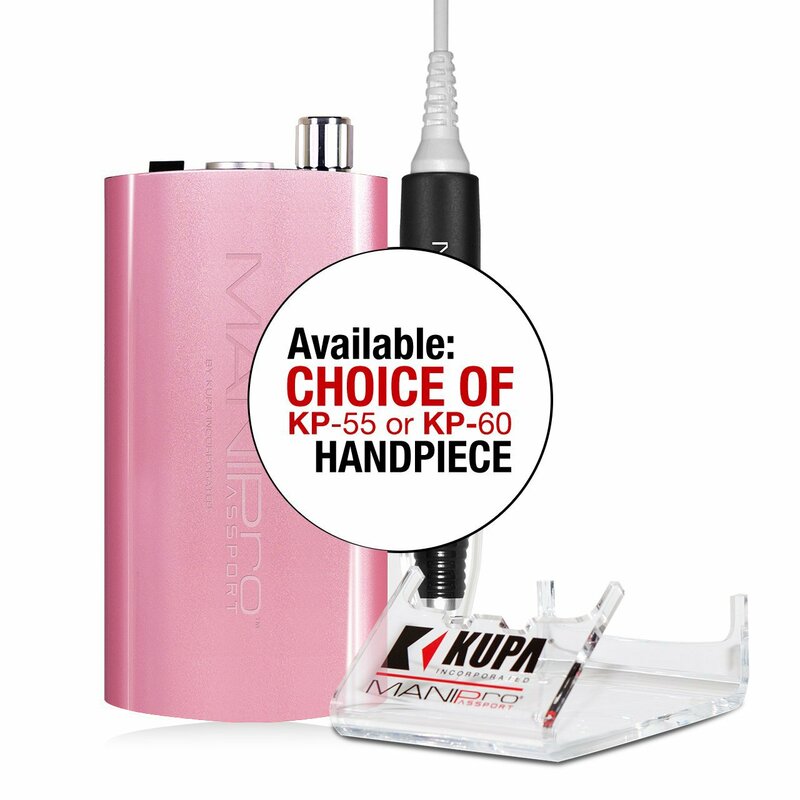 Choose between KP-55 or the New KP-60 Hand-Piece. This powerful, all new exclusive, portable electric file has been designed for the professional technician who demands power and portability. 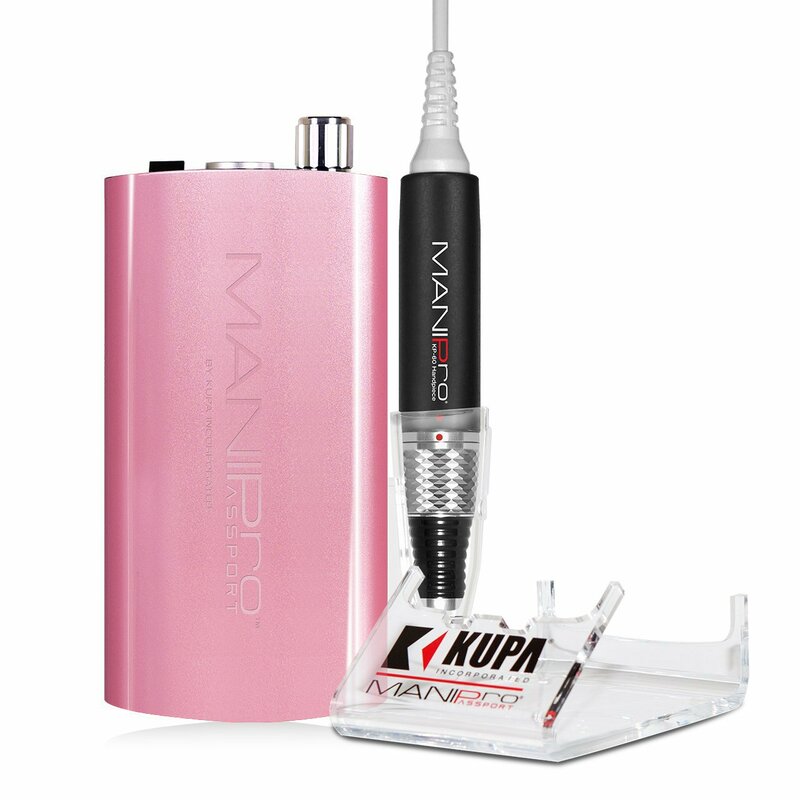 The ManiPro Passport features a lightweight battery powered control box that can provide from 8 to 10 hours of use per charge in either 110v or 220v. The control box features include Acetone Resistant Front and Rear Finish, an illuminated power indicator, variable speed dial and forward/reverse button. 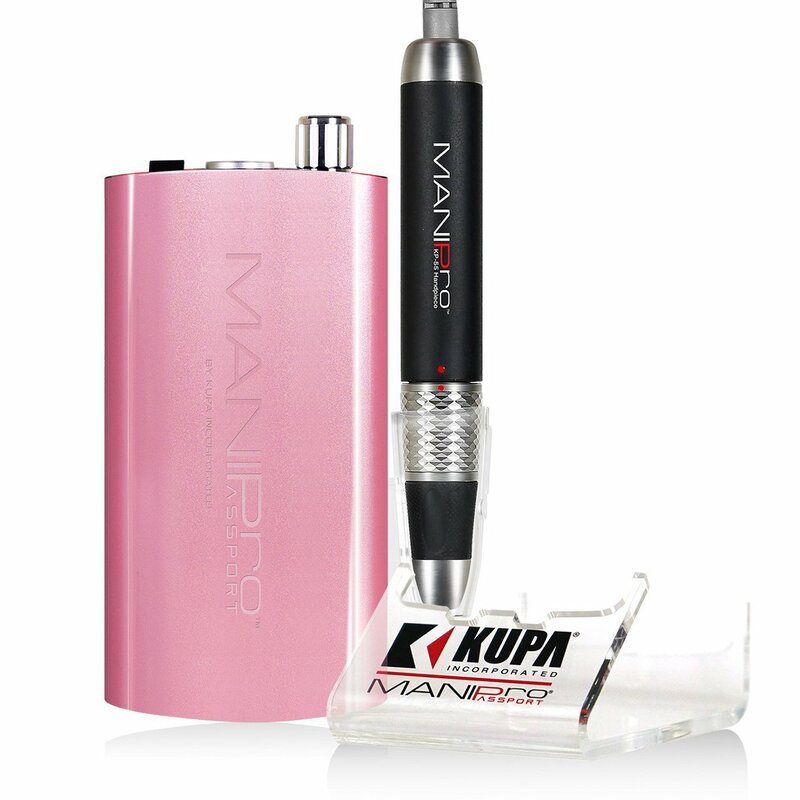 The ManiPro Passport comes complete with a built in hand-piece holster and belt clip.